Sequans CAT1 Module Powers Encore Solutions to Replace Sunsetting 2G Solutions with Faster 4G Connections for M2M and IoT Applications. Encore Networks, a leading manufacturer of wireline, cellular, and satellite VPN routers, today announced that it has teamed with 4G LTE chipset developer Sequans Communications S.A., to provide the industry’s first industrial router to leverage Category 1 LTE (CAT1), a newly deployed level of LTE service aimed at IoT and M2M applications. Encore’s newest router uses the Sequans VZ120Q module, based on Sequans’ award-winning Calliope CAT1 LTE chipset. The VZ120Q was designed and recently certified for use on the Verizon Wireless nationwide 4G LTE network, and helps Encore provide a compatible, affordable replacement for the almost 20 million devices now deployed on aging 2G networks. One tier 1 cellular carrier has already announced a phase out of 2G service by the end of 2016; other carriers are expected to follow over the coming years. Encore plans to announce and display its CAT1 solutions at CTIA Super Mobility Week, September 9-11. Before LTE, 2G dominated M2M and IoT applications such as kiosks, smart meters, digital signage, ATM’s, and utility sub-stations. 2G, however, requires more radio spectrum per bit transmitted than LTE. Carriers are re-farming their spectrum from 2G to 4G to help meet the soaring demand for data services. CAT1 LTE is a resource-efficient use of that spectrum for lower speed IoT and M2M devices that can seamlessly coexist with faster, higher-category LTE connections on the same cell towers. CAT1 caps the data speeds at 10 Mbit/s downlink and 5 Mbit/s uplink, far exceeding the throughput of 2G connections and providing headroom for future growth in traffic. As a result, CAT1 meets the needs of use cases where 3G or full-speed 4G LTE proved too expensive. In addition, LTE technology provides the M2M and IoT industry with the longevity needed for long-term deployments in the field. “It is now accepted that 4G LTE will be used for almost everything that requires a cellular wireless connection even where it was previously considered too expensive to deploy,” said Krishna Ragireddy, Vice-President of Engineering for Encore Networks. Thanks to the affordable nature of the LTE CAT1 technology found in the Sequans solution, which enables module costs at or below 3G or high-rate 4G module costs, Encore will deliver solutions with immediate savings in equipment costs (CAPEX). CAT1 can also lower operating expense (OPEX) via less costly data plans. 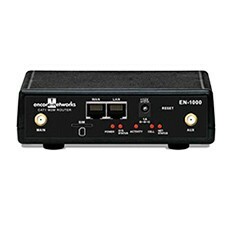 Multiple Encore routers will offer Sequans modules. Some will be on display at CTIA Super Mobility 2015, September 9-11 in the M2M Pavilion, Booth #5738, Sands Expo Center, Las Vegas, NV.